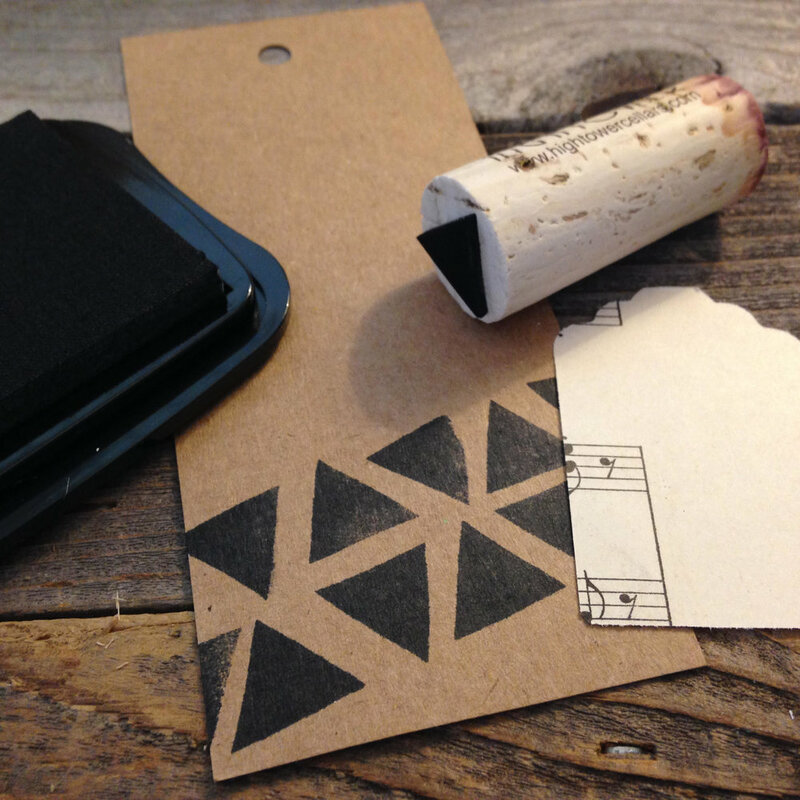 Make custom stamps in a snap with wine corks and then use your new stamps to create hand printed designs on upcycled tags and more. 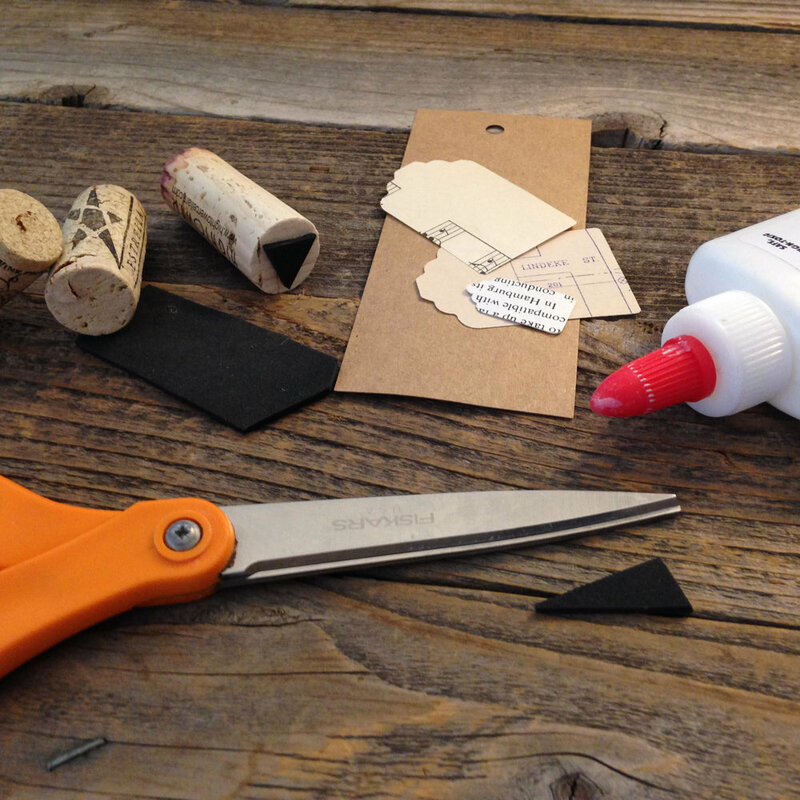 This kit includes the materials for making your stamps, a template, instructions and a bundle of upcycled tags. 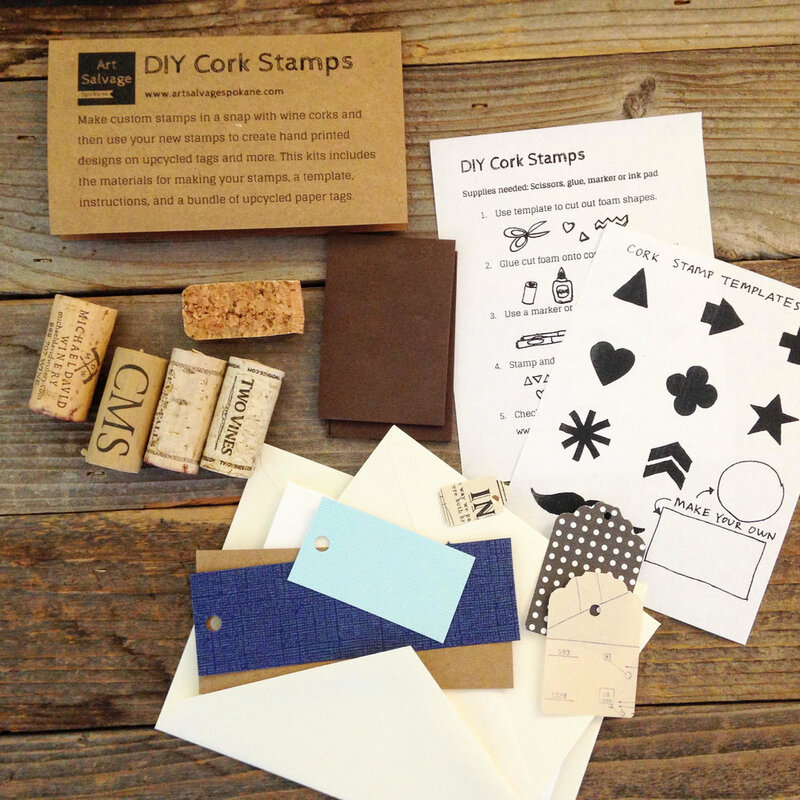 Each notebook kit contains upcycled papers and ephemera ready to assemble with easy to use binder rings. Customize your notebook with additional papers. Finished notebooks measure about 5"x9", perfect for bullet journaling, sketching, writing and more. From coffee bean sacks to original art, show your love for the Pacific Northwest with a hand embroidered state. 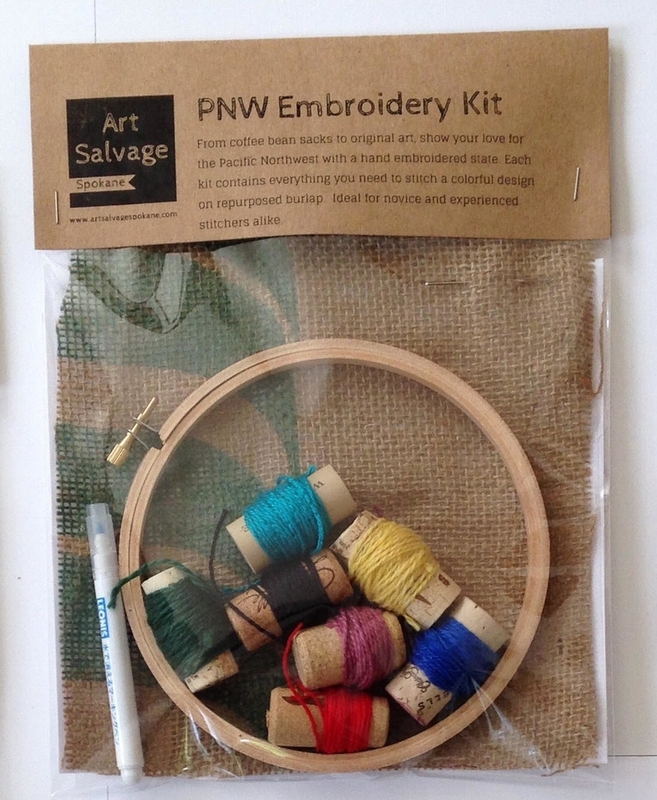 Each kit contains everything you need to stitch a colorful design on repurposed burlap. Ideal for novice and experieinced stitchers alike. Each kit is a unique assortment of materials to inspire your next mixed media project. Great for artist trading cards, collage and more.